Singing in the rain, a photo by PhylB on Flickr. 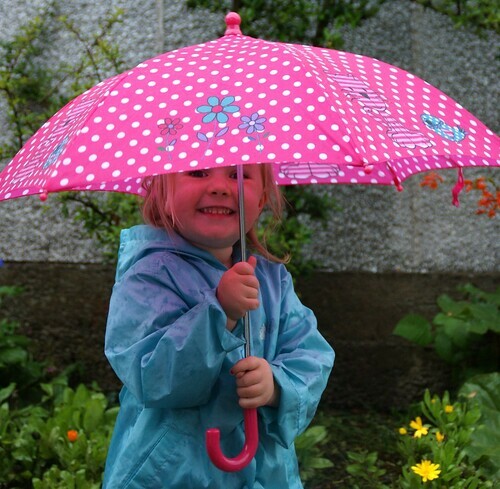 When my auntie Miriam came to visit me last week she bought me a beautiful pink umbrella in Tesco. I am very happy with it!